As-is Knoll Currents components with Morrison panels. 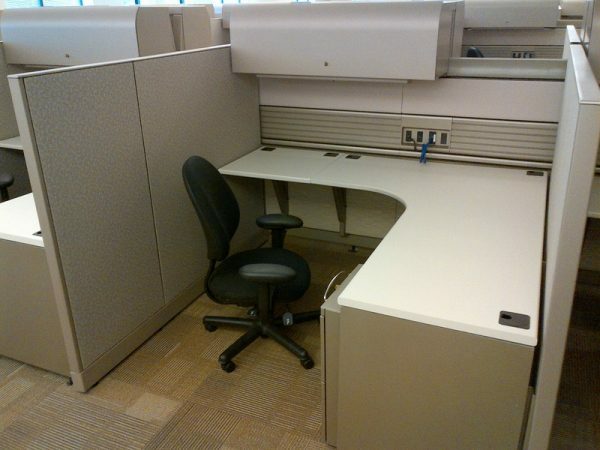 These workstations are 6×6 with 56″H panels. Currents service wall with Reuter overheads which come with a task-light. The overheads bring the spine to a height of 64″. This station offers belt-line data and electric. Each station has a BBF pedestal under the worksurface. Product is in very good as-is condition. Finishes are beige paint with a taupe fabric.